Karelian Warcry is Finnish band playing Black\Death Metal. their sacrifices and all what they have done for us. Karelian Warcry supports anti-christianity. 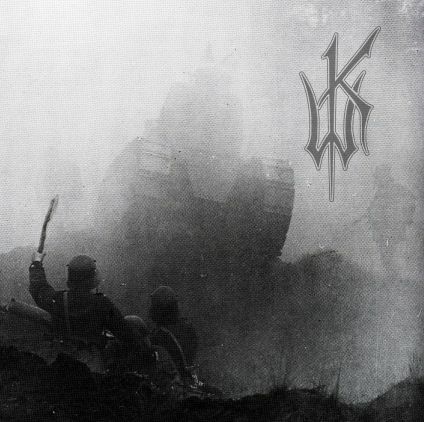 Karelian Warcry was founded in late 2002. A Drunken idea about a band wasn't bad at all and one thing led to another. Sami Ukkonen (bass) and Urgh(guitars&vocals) were responsible for the musical and lyrical stuff together. A. Von Heimrich started to mutilate drums. They all had similar and clear visions of what they wanted of the band. Musically the early days were Black Metal with a taste of folk in it. person to take care of the lead guitars. This way Urgh could concentrate more on the vocals. started to get influences from other genres, mostly from Death Metal. There wasn't anything dramatic between the bandmates at that time. Piispa, who had played with these guys earlier, took over the bass. 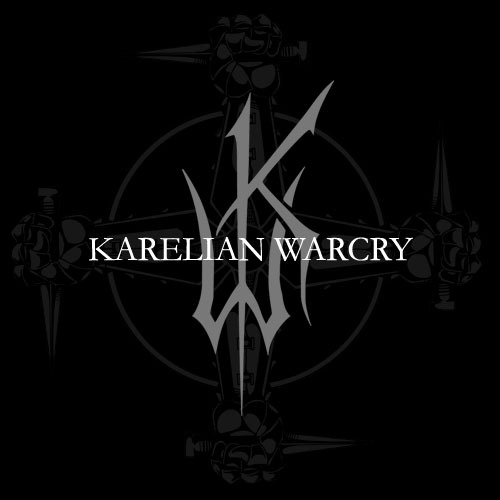 Karelian Warcry released their first demo-cd in spring 2004. It included five tracks of both old and new material. Ukkonen did guest vocals on the song "Ikirouta". "Kylmä Rautainen" was recorded at the end of year 2004 and it was published by Seven Gates of Hell in the Autumn of 2005."